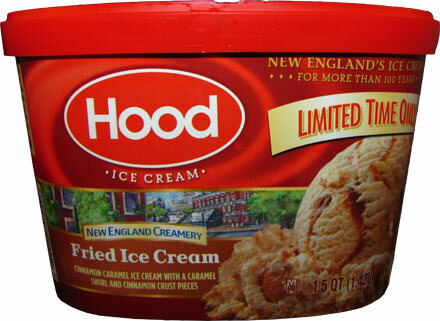 [By Nick, New for 2015] Hey look, Hood already has a second limited edition flavor out this year and I found it before Dubba! Every part of that description sounds appealing. Even the crust pieces sound great and I'm not even a fan of crust typically. I'll chalk that up to the added cinnamon to it's description. This ice cream even looks as good as it sounds and there's plenty of the caramel swirl and crust pieces. And to bring it all together, this one tastes great. The base is dominantly cinnamon with some caramel undertones. It's not a strong, spicy cinnamon by any means. It's more mellow and complimenting to the caramel flavors. It's kind of like adding cinnamon to a sweet cream base to be honest. The caramel swirls add to the sweet, buttery vibe. It's not as thick or gooey as I'd like but it'll do. I mean it's Hood and all and you can't expect too much from a budget friendly brand. The cinnamon crust chunks are more like cinnamon shortbread cookies which is a really good thing. They're not dry and flakey like crust but more crumbly and dense like a cookie. I enjoyed them a lot and they're ample throughout the container. Really, I'm surprised by how solid this flavor is. It's been hit or miss with Hood for me but they definitely knocked this one out of the park. This is a limited edition you don't want to miss out on this year. On Second Scoop: This flavor reminded me of something the first time around but I couldn't quite put my finger on it. The second time around it hit me. This tastes like a caramel dipped churro! While the texture of the crust pieces doesn't match up, the flavor is there. You need this ice cream in your life. It seems as if they were trying to copy Cinnamon Buns by Ben and Jerry's by using caramel ice cream. How does this compare to Cinnamon Buns? stride, what would make you think they're copying Ben & Jerry's? 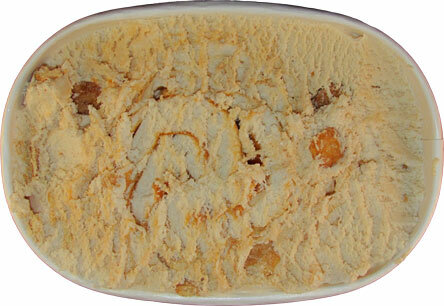 Cinnamon Buns is Caramel Ice Cream with Cinnamon Bun Dough & a Cinnamon Streusel Swirl. It only shares the whole cinnamon + caramel combination but that's not enough to say the flavors are all that similar. Hood's use of a caramel base and cinnamon crust pieces sounds a lot like the combination of a caramel base and cinnamon bun dough by Ben and Jerry's. This is why it sounds like they were trying to produce a product to rival Cinnamon Buns by B&J's. 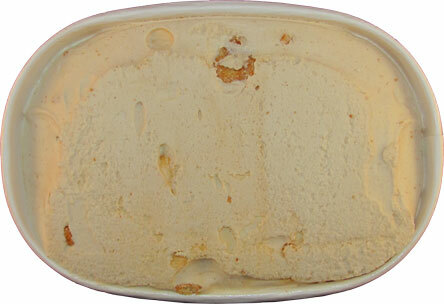 stride, hood's product is a cinnamon caramel base, caramel swirl and cinnamon crust pieces. Really, the only thing is common is the flavor. That's like saying Perry's Cherry Panda Paws is trying to copy Ben & Jerry's Cherry Garcia since they both have cherry and chocolate involved. I can't really find the connection between Hood trying to copy B&J's. 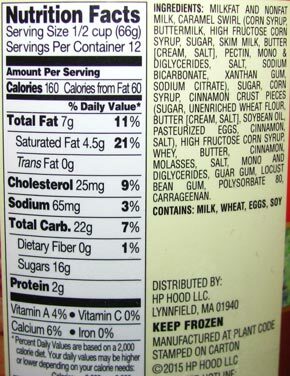 can you buy this in Connecticut? This ice cream flavor is amazing! LOVE it!! !